1. Q: How to choose a suitable university which offers the best Chinese language courses? 2. Q: What are the entry requirements of Chinese language courses? 3. Q: How long will I study in Chinese language courses? 4. Q: When should I apply? 5. Q: What’s the difference between long-term language course and short-term language course? 6. Q: What Chinese level will I reach after learning the long-term language course? 7. Q: What Chinese level will I reach after learning the short-term language course? 8. Q: How much should I pay for studying Chinese language courses? 9. Q: Can I get a degree after studying in Chinese language courses? 10. Q: What is HSK? 11. Q:What are the functions of HSK Certificates? 12. Q: How long will HSK Certificates be valid for? A: First, you can choose the university according to the official rankings. Second, you can refer to the locations of universities and choose the best city you want to stay. will accept students with any educational background. So the entry requirements are relatively loose. course. The former one will last about one semester or one year and the latter one will be about 4 weeks or 8 weeks. A: Genearlly speaking, there are two semesters in Chinese Universities: Spring Semester and Autumn Semester. For Spring Semester( usually starts from March), the application deadline isJanuary 31 of each year. For Autumn Semester( usually starts from March), the application deadline is July 31 of each year. The specific time of each school may be different. You should refer to the deadline of your chosen university to apply in time. A: First, their durations are different. the long-term will last about one semester or one year; the short-term language course will be about 4 weeks or 8 weeks. and improve their Chinese communication skills. abilities and can reach a certain level in HSK: level 3 or above. communication skills in very short time. 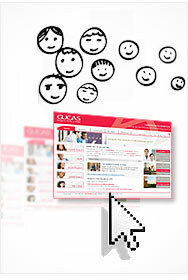 A: When you first apply through SICAS online admission system, SICAS will charge a processing fee of 50 USD.